Home / Life / How Much Caffeine Does Matcha Green Tea Have? Whether you drink four cups of coffee a day or avoid caffeine entirely, it’s good to know exactly what caffeinated drinks are putting into your body. 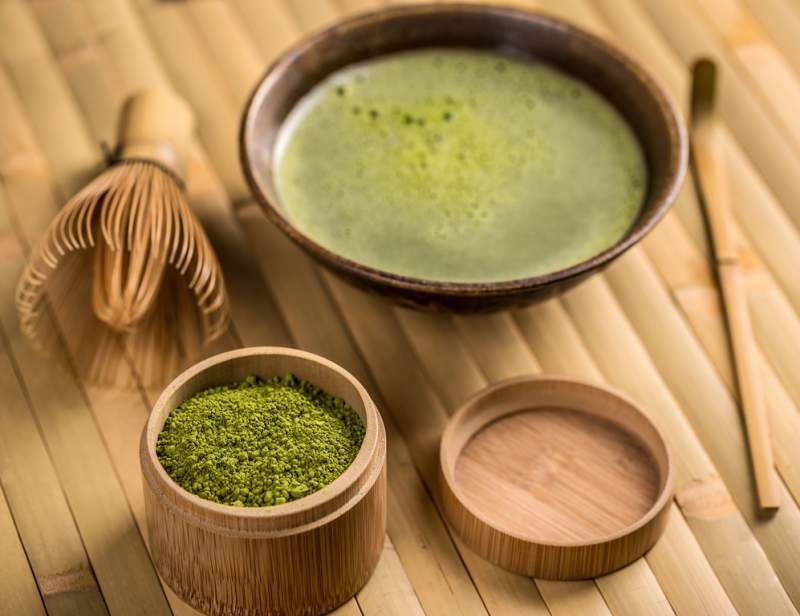 Enter matcha, the super tea that does wonders for your health. Like any tea, matcha contains caffeine, but it won’t leave you with the jittery feeling or hard crash that a cup of coffee often does. Matcha isn’t your typical green tea. That bright green powder sprinkled on top of your latte is actually the ground leaves of camellia sinensis, the tea plant. This is what makes matcha so powerful-you’re getting all of the nutrients the plant could possibly provide when you ingest it, instead of the nutrients steeped out of the leaves in the case of regular green and black teas. Matcha comes already loaded with great stuff for your body, and it’s super raw form makes it an excellent health food. It also contains an amino acid called L-theanine, which basically helps your body calm down and relax. All natural teas contain some traces of L-theanine, but matcha has more than most. Mix the calming compound with the stimulating caffeine and you get the miracle mix of being alert and focused, yet calm and serene! Everyone love s a good cup of coffee, and as they say, numbers don’t lie. Billions of cups of coffee are consumed by Americans each year, at approximately 300-400 million cups per day. That’s a lot of coffee! But how much caffeine does that work out to? The general “safe” amount of caffeine for the healthy American adult to consume per day is 400 milligrams. To put that in perspective, one latte contains about 200 mg. It’s important to note that this does not take into account sweeteners or other additives added, and every cup of coffee is brewed or blended separately, so actual amount may vary. Check out these amounts for other popular types of coffee. So where does matcha rank compared to coffee? Matcha contains around 70 mg of caffeine per cup, approximately the same amount contained in one ounce of espresso. You’d need to drink 2-3 cups of matcha to get the same amount of caffeine in one cup of plain coffee. Energy drinks are known as being loved by sports enthusiasts and college students trying to stay awake through class. According to this article from consumer reports, popular brands like Red Bull contain about 80 mg of caffeine per bottle. Rockstar ranges from 80-230 mg, depending on the type of can you drink. And Monster comes in at 90-220 mg! But easily topping the list is that little red bottle of 5 hour energy. These tiny containers pack over 200 mg per bottle each time! (sans decaf, which only comes in at 6 mg per bottle) That’s half or more of your daily recommended dose. What about other teas, like green and black teas? They come from the same plant that matcha does, but they don’t all contain the same levels of caffeine. Green teas contain approximately 25 mg per cup, but black teas contain 42 mg or more of caffeine depending on the type of tea used and how long it was brewed. Neither of them has as much caffeine as matcha does at 70 mg per cup. Energy drinks are probably the worst form of caffeine intake you could ingest. 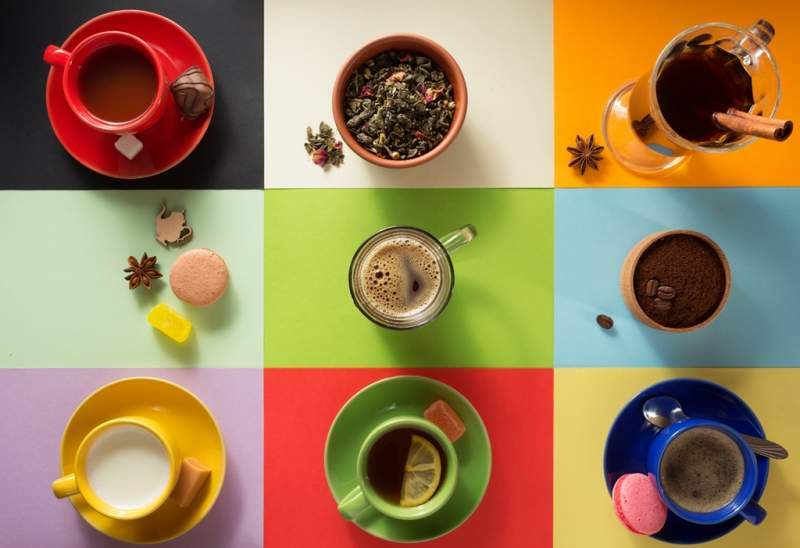 Many of them contain artificial flavors and sugar, and have more calories than coffee or tea. 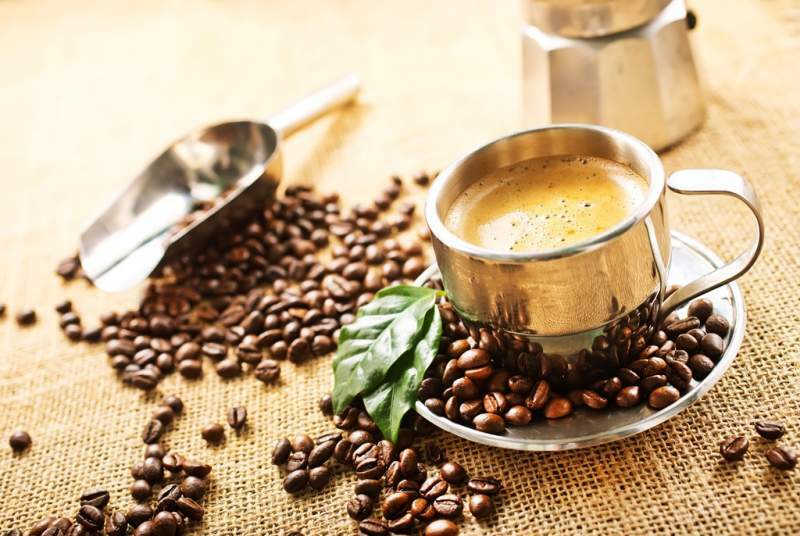 Coffee is the standard caffeine boost beverage, but monitor how much you drink and what supplements you add to it as these can increase negative health benefits, such as adding too much sweetener. Plus, coffee is famous for its caffeine highs and lows, which can end in a crash leaving you more exhausted than before you had a cup. A cup of green tea or black tea (25-42 mg) contains less caffeine than a cup of coffee (100-200 mg) but also provides many more nutritional benefits. Regular coffee, without any additives, also has some benefits, so really it comes down to preference. Finally, matcha lies somewhere in the middle at 70 mg, but the extraordinary benefits it provides outdo every other beverage. It has been proven to help cleanse, restore, and heal your body. It can help with weight loss, enhance your immune system, and clear out toxins. Plus, due to the amino acid L-theanine, matcha sustains the caffeine energy boost over 3-6 hours instead of the sudden rise and drop in coffee. Not to mention it won’t leave you with coffee breath! 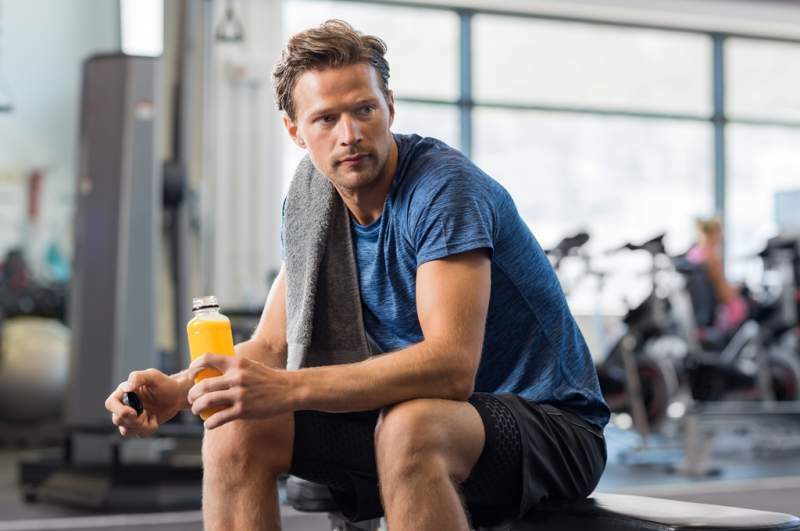 Caffeine is pretty much ingrained into the daily habits of most Americans, and there’s no reason for it not be so long as it’s ingested in healthy amounts. But if you’re looking for a healthy drink that will also keep you awake through those morning meetings, give matcha a try. There’s no need to replace your daily cup of coffee, but adding this healthy super tea to your daily diet is a definite plus for your health! Usman Raza is a freelance writer, marketing specialist at WhiskMatcha.com and co-founder of Usman Digital Media. When not working, he’s probably spending time with his family. Follow him on Facebook @usmanraza40 and Twitter @usmanintrotech.